Sometimes you want a good old thrash. And sometimes you just need something a bit more gentle. This morning is a more gentle time. Mary Black first caught my attention back in the early 1990s. I think it was probably via. the “A Woman’s Heart” compilation album, a collection of songs by Irish singers Eleanor McEvoy, Mary Black, Dolores Keane, Sharon Shannon, Frances Black, and Maura O’Connell that became something of a phenomenon, selling over 750,000 copies, prompting a couple of follow-up albums and introducing a collection of contemporary folk-influenced female singers to a wider audience. I’ve always had a soft spot for the music of the emerald isle, in its many guises, from the rock sounds of U2, The Undertones and Stiff Little Fingers, through the soulful sounds of Van Morrison, the cathartic waywardness of Sinead O’Connor, the new-age vibe of Clannad, singer-songwriters like Juliet Turner, Duke Special and Luka Bloom, through to the folkier sounds of Sharon Shannon and Cara Dillon. And whilst the “A Woman’s Heart” collections were hardly cutting edge, there is an honesty and soulfulness in these singers and their recordings which I find very appealing. Mary Black came from a typically Irish musical family (her father a fiddler, her mother a singer, and all her siblings involved in a band – sister Frances even had her own recordings on the Woman’s Heart album. Black isn’t primarily a songwriter, but does know a good song when she hears it. Noel Brazil was one of her go-to songwriters, the author of some of her best such as Columbus, Vanities, Babes in the Woods, and this one – Ellis Island. Ellis Island is an island in New York (within sight of the Statue of Liberty) that for over sixty years, between 1892 and 1954,was the gateway to the US for 12 million immigrants, handling at its peak 5,000 immigrants a day. 100 million Americans can trace their ancestry through Ellis Island. Obviously the route from Ireland to America is a hugely well-trodden one, inspiring a multitude of books, films and music, and so for an Irish singer like Black this tale of a pair of lovers who are being separated by emigration is a natural one that resonates deeply. And so to the songsheet. A simple shuffle in the verses, alternating between Fmaj7 and Am7, leads into a chorus that chucks in a few additional chords (nothing tricky, although getting the rhythm right requires a little listening to the original), before dropping into a middle eight, back to the verse and choruses. Lots of gorgeous major7 and minor7 chords makes it obvious – to me at least – why this is such a beautiful song. Enjoy! Categories: Folk, Singer-Songwriter, ukulele chords | Tags: 1980s, 1985, Folk, Folk-Rock, Irish, Mary Black, Singer-Songwriter, ukulele | Permalink. Bob Marley was a huge part of bringing reggae music into a wider public consciousness. Whilst some may think that his was a somewhat watered down version that was deliberately aimed at crossing over to a white rock audience, there is no doubt that his music has had a profound affect around the world. And none more so than Redemption Song. Whilst clearly not a reggae song in itself, Redemption Song is the epitome of all that Marley sought to achieve in his music. The final track on the final album Marley released before his death from cancer in 1980 (Uprising), the song is in many ways Marley’s own eulogy, a song of hope despite the pain of the circumstances. But rather than focusing inwards on his own pain, the song turns that feeling into a universal call for the downtrodden, the oppressed, those who have lost so much, urging them to keep on, to keep singing these “songs of freedom”. The famous “emancipate yourselves from mental slavery”, “none but ourselves can free our mind” lines were in fact inspired by a speech by Marcus Garvey, a proponent of Black nationalism in Jamaica who was considered a religious prophet within Rastafarianism, a religion strongly linked to reggae and Marley. Whilst the song was recorded and performed as a full band version (you can here it here), it is most famous in its most stripped back form – just Marley and an acoustic guitar. Which I think makes it a great candidate for playing on the uke. The prompting for putting this song on UkeTunes came from hearing over Christmas a bit of the Radio 4 Soul Music documentary that focused on this song, and the impact it is had on a variety of people. It’s an informative and touching listen, and at the time of writing is still on the BBC IPlayer – you can listen to it here. The song sheet is quite straightforward to play – no tricky chords or strumming patterns. That said, Marley’s phrasing is sometimes a little tricky to replicate, but don’t worry too much about that – this is a song to take and mould to your own experience. Also this is definitely a less-is-more song, so keeping the strumming sparse helps. I’ve also included tab for the opening guitar riff as well. Enjoy! Categories: Folk, Reggae/Ska, Singer-Songwriter, ukulele chords | Tags: 1970s, 1980, 1980s, Bob Marley, Folk, Reggae, Singer-Songwriter, ukulele | Permalink. What, not *more* Nick Cave? Well yes, and what of it! I’ve actually had this one sat around for a while now, from when I did the previous batch of Cave songs, but just hadn’t got round to posting it. Like previous post O Children, this song comes from the 2004 double-album Abattoir Blues / The Lyre of Orpheus. And again, like that song, this is from The Lyre of Orpheus – the more reflective side of the coin. In fact Breathless is positively bucolic, filled with wholly positive, arcadian observations on nature and the rural life, directing all of nature to worship his loved one. The lyrics, the phrasing, the instrumentation (those flutes!) place this in a rural idyll hundreds of years ago. 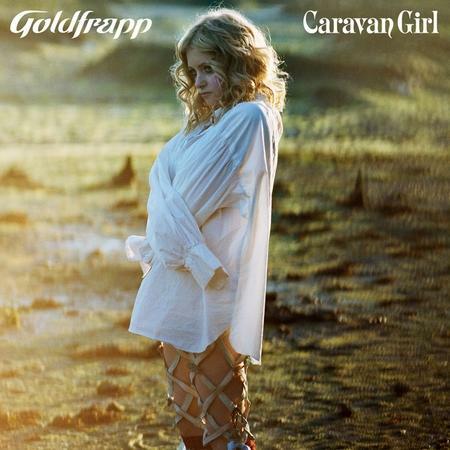 For this is an out-and-out love song, almost spiritual in tone (many of Cave’s song walk that tightrope between the spiritual and the earthy), that unconditionally celebrates his loved one. Cave is often portrayed as a gloom-merchant, one who revels in perversity, misery, and the negative side of human nature. And whilst that is definitely a part of what he does, one of the great things about his artistry is that it isn’t limited to that – he embraces all of human life, and that includes the richness of the deepest love, alongside the darkness of great pain. Sometimes both are touched on in the same song, but Breathless is not that kind of song – it is a wholly positive, life-affirming exhortation to worship his beloved. There are no doubts, no chinks, no ifs or buts here – this is pure, unadulterated adulation. So it’s just three chords. Just C, F and G. A gentle chugging rhythm all the way through. They don’t come much easier than this! The only tricky bit I found was the lyrical phrasing and fitting the lyrics into the tune – it’s can vary subtly through the verses, and Cave’s mannered delivery takes a little getting used to. But persevere – this is a lovely song. Categories: Folk, Folk-Rock, Singer-Songwriter | Tags: 2000s, 2004, Folk, Nick Cave, Singer-Songwriter, ukulele | Permalink. Sometimes I worry that the songs I post on here are too obvious. And sometimes I think the opposite. Today’s post definitely falls into the latter category. But this is *my* blog. So I’ll post what I want! Martyn Joseph’s music has been part of my life for nearly 30 years. I first came across him in 1989 when he played a stripped back set at the Greenbelt festival, a set that formed the basis the live album “An Aching and a Longing”. Since then I’ve lost count of the number of times I’ve seen him in concert, often at The Brook in Southampton (a favourite venue for Martyn, to the extent that he released a live album and DVD recorded exclusively at that venue), but also in a variety of incarnations with Show of Hand’s Steve Knightley, and as a trio with Steve and Tom Robinson under the moniker of Faith, Folk and Anarchy. For those who haven’t encountered Martyn Joseph, he is a Welsh singer-songwriter and guitarist, with shades of the Bruces Springsteen and Cockburn, whose songs have a strong social, community and spiritual conscience. A hard-working troubadour, almost constantly touring the UK, Europe and North America, releasing over 20 albums through his career, he is a performer who gives his all. His concerts are always full of passion, spirit and compassion, truly life-affirming and uplifting events despite what might seem to be gloomy themes and materials, something that he often references in a self-deprecating manner during those gigs. On My Way is a song that was almost designed as a community sing-along, something reinforced by his starting to perform the song before it was even finished, and something which any audience will get drawn into whenever the song is performed. 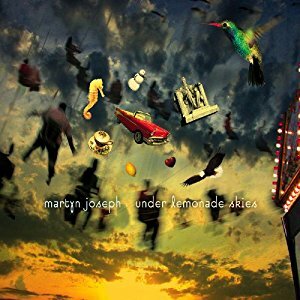 Taken from his 2010 album, Under Lemonade Skies, Martyn was quoted at the time of its release as saying that he was trying to write songs that are companions for people on the road, songs that make you feel that you are not alone. On My Way does that in spades, an encouragement to pick yourself up and carry on the journey despite what life my thrown at you, doing so in the knowledge that you are not alone, that there are others “running, loving, stumbling” along similar paths. So here’s the songsheet. I’ve included two versions – one in the same key as the original (E), and one in F, which makes it easier to play. It’s designed for strumming rather than picking as on the originals, and so may lose a little in the translation. But only a little, as it’s a great song whose spirit shines through. Note that the video above is a live version with Steve Knightley – if you want to here the original studio recording it’s here. Enjoy! Categories: Folk, Singer-Songwriter, ukulele chords | Tags: 2010, 2010s, Folk, Greenbelt, Martyn Joseph, Singer-Songwriter, Steve Knightley, The Brook, ukulele | Permalink. We’re digging back in time a bit with this one. Back to the days before rock and roll. In fact back to one of the more unlikely precursors of rock and roll. Sister Rosetta Tharpe is not a name that often appears in the pantheon of the most influential 20th century musicians, but the unique sound and guitar playing that she pioneered in the 1930s and 1940s paved the way for the rock and roll greats of the 1950s and beyond (Strange Things Happening Every Day is a particularly good example). Mixing spiritual lyrics with a gritty and rhythmic accompaniment, and performing in nightclubs and concert halls, Tharpe upset many in the religious communities of the time, but achieved real cross-over success, particularly in the 40s when she had a number of top 10 singles in the US. Up Above My Head is a Tharpe original that uses the traditional call-and-response form of Gospel songs, with short, simple lines, and a number of thematic variations for the verses. Set against a rhythmic background of bass and piano, with Tharpe’s guitar playing (and soloing) over the top, the song was a big hit in the US in 1948, and has been covered many times since, including by Elvis Presley in a TV special, and most lately (and fabulously, if I do say so) by the hugely talented Rhiannon Giddens. And so to the song sheet. 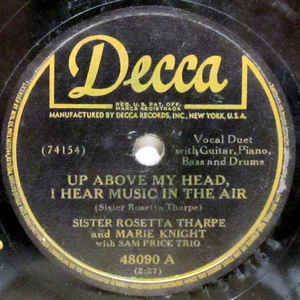 There are so many different versions of the song, even by Sister Rosetta Tharpe, that it’s hard to know where to begin. So I’ve based the verses on the Rhiannon Giddens version, but created two versions in different keys, one in C, the other in G (the Giddens version is in F!). It’s pretty straight-forward, the only one note of reference is to say that the C7/G7 chord on the third line of each verse comes right before the second half of the line (e.g. “I hear music in the air”) rather than right after the first half of the line (i.e. “Up above my head”). Also, I haven’t put the responses in the lyrics as it rather crowded and complicated the sheet – but feel free (in fact I encourage you!) to put them in. Enjoy! Categories: Folk, Gospel, ukulele chords | Tags: 1940s, 1949, Folk, Gospel, Rhiannon Giddens, Rock and Roll, Sister Rosetta Tharpe, ukulele | Permalink. …and what better way to demonstrate that than with a double-bill from the prince of Goth himself, Mr Nick Cave. And to make it doubly grizzly, let’s make it two from the gore-fest that is his Murder Ballads album. Nick Cave is something of a polymath, being an author, screenwriter and soundtrack composer, but obviously most notable for his songwriting and performing, initially with the post-punk, proto-gothic sounds of the self-styled “most violent live band in the world” The Birthday Party, and subsequently (and for the past 30+ years) with his band The Bad Seeds, Cave often explores themes of death, religion, love and violence in his songs. So 1996’s Murder Ballads was not exactly a bolt from the blue, but even by Cave’s standards it goes deep, dark and macarbe, sometimes to excess, albeit with a wry smile on its face. Composed of new and traditional murder-themed stories, taking the traditional use of the word ballad as a stories narrated in short stanzas, the album racks up a body count of 65 over its 10 tracks (bookended with a redemptive cover of Dylan’s Death Is Not The End). This is *not* background music, not easy listening, and certainly not for the squeamish (Stagger Lee has been described as “one of the finest foul-mouthed songs ever committed to tape, a swaggering tale of prostitutes and pistols, muddy roads and bloody murder”, and is brilliant! ), but it is totally immersive, brilliantly executed career highlight. To be honest, the two songs presented here aren’t totally representative of the album, but certainly are the two that probably translate best to the uke. 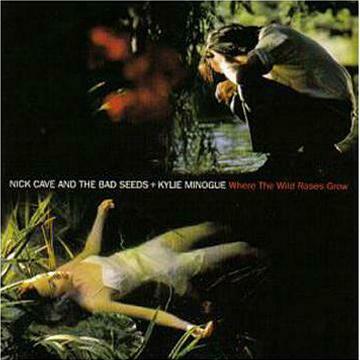 Where The Wild Roses Grow is a duet with – of all people – Kylie Minogue, and gave Cave his one and only UK hit (what people buying Murder Ballads off the back of this song thought of it heaven only knows). Taking inspiration from the traditional song Down in the Willow Garden (also know as Rose Connelley), it tells the story of a man courting a woman and killing her while they are out together. 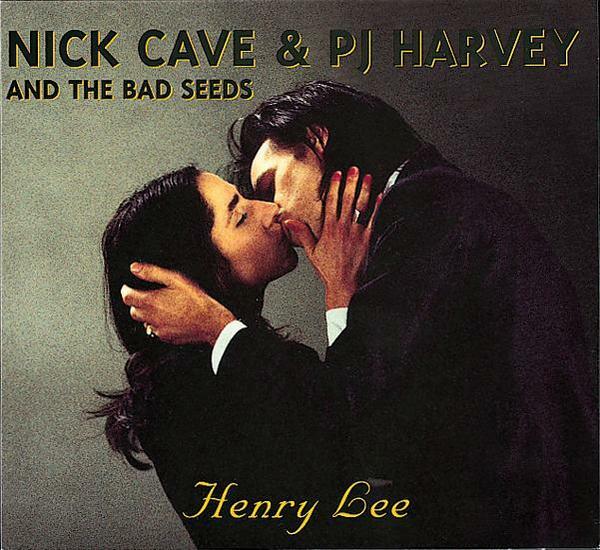 Henry Lee is another duet, this time with PJ Harvey (with whom Cave had an affair, the breakup of which is a significant inspiration to Murder Ballads’ follow-up, The Boatman’s Call), and another variant on a traditional song (this time Young Hunting), this time turning the tables and telling the tale of a “the fury of a woman scorned”. Both songs tell their story in alternate versus from the man and woman’s perspective. It is worth commenting on the videos for these two songs as well, as they are both remarkable. Where The Wild Roses Grow adopts the imagery of Sir John Everett Millais’ 1851 painting Ophelia, with Cave and Minogue in role. Henry Lee is a single-take, straight-to-camera, studio-bound video that practically explodes with the barely restrained sexual tension between the two singers. And so (finally!) to the song sheets. In terms of chords, neither of these does anything tricky or unusual. Essentially these are ballads where the music’s job is to carry the stories. However there are one or two tricky timing issues. Henry Lee plays in 6/8 time, but chucks in an extra three beats (a 3/8 bar?) on the “a little bird lit down on Henry Lee” line. Likewise Where The Wild Roses Grow is also in 6/8, this time straight and without interruptions, the only slightly tricky bit being the first and third lines of the chorus, which is timed as [Gm] 1 2 3 4 5 6 [Cm] 1 2 3 [Gm] 4 5 6 1 2 3 4 5 6 (if that makes sense). I’ve also indicated on each song sheet where the singer is male, female or both. Enjoy! Categories: Folk, Post-Punk, Singer-Songwriter, ukulele chords | Tags: 1990s, 1996, Folk, Kylie Minogue, Murder Ballads, Nick Cave, PJ Harvey, Post-Punk, ukulele | Permalink.